The Derek Gow Consultancy Ltd is a professional team of ecological consultants who are dedicated to the conservation of native British wildlife and specialises in water vole mitigation, reintroduction and development led translocation projects. We have over 18 years experience of working with this species and advised the revised species handbooks in 2006/2012 with regard to water vole captive breeding and development mitigation. 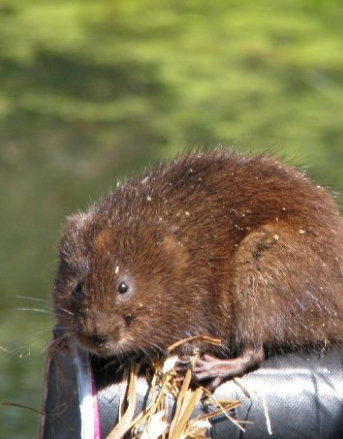 The unique husbandry expertise of the Derek Gow Consultancy has placed it at the forefront of proactive water vole conservation. To date the consultancy's staff have guided the captive reproduction of over 7000 water voles and assisted our client organisations in a range of related projects. We specialise in ethical wildlife mitigation, breeding, reintroduction and translocation of protected British mammals and reptiles, focusing specifically on the water vole (Arvicola amphibius). We have over 10 years experience of mitigating, translocating and captive breeding water voles and are dedicated to reversing the decline in water vole populations through positive action. The consultancy is based in West Devon, undertaking projects throughout the UK and abroad.